Long Spring Channel Nuts available in sizes M6 to M12 finished in either Pre-Galvanised or Hot Dip Galvanised Steel. Suitable for a wide range of applications channel nuts provide a quick and easy way to connect channel with bracketry or any other support mechanism. 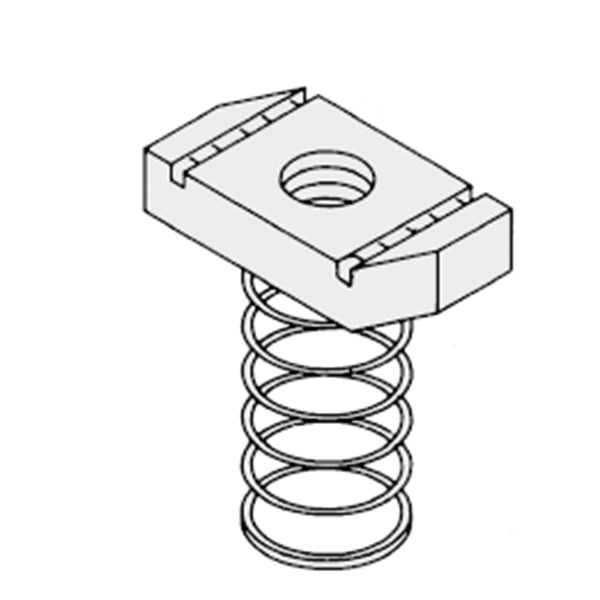 Simply insert the channel nut into the channel and rotate 90°, long spring nuts have been designed for use with standard 41mm deep channel and hold firmly in place whilst positioning and securing the required fixing. Available in sizes M6 to M12.